My observation is that those who declare waterboarding merely harsh interrogation have not experienced it themselves. On the other hand people who have experienced waterboarding usually declare it is torture. Who do you believe? 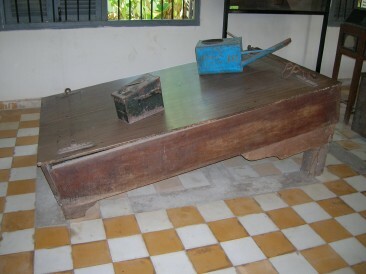 Many hundreds in the US have experienced waterboarding as part of POW training. So far few of them have gone public about their experiences — which is a shame. Among those who have endured waterboarding are the former associate Attorney General at the US Justice Department. He realized that the discussion on its use needed to be ground-truthed, so he subjected himself to it. It appears he came down on the side that it was torture, although his testimony is not public. In the version used in the Navy’s SERE training program, the affiliate said,the student is bound to an inclined board, his feet higher than his head. A stream of water is then slowly poured up his nose. In SERE training, the technique is highly controlled to prevent serious physical harm (although the trainees don’t sense this).There is a strict limit of only a few cups of water per student. As an extra precaution,the trainees do jumping jacks first, to elevate their heart rate,which enables them to hold their breath for long periods during the ordeal. But Malcolm Nance, a former SERE instructor, says this description whitewashes how severe the method really is. His article describing his own first-hand experience of the waterboarding technique cured some of my ignorance, and made me certain I did not want to experience it. Drop by Drop has more details on the use and experience of the technique in the US that you probably want to know: From the New York Times, 13 June, 1902. I remember that the blindfold was heavy and completely covered my face. As the two men held me down, one on each side, someone began pouring water onto the blindfold, and suddenly I was drowning. The water streamed into my nose and then into my mouth when I gasped for breath. I couldn’t stop it. All I could breathe was water, and it was terrifying. I think I began to lose consciousness. I felt my lungs begin to fill with burning liquid. Pulling out my fingernails or even cutting off a finger would have been preferable. At least if someone had attacked my hands, I would have had to simply tolerate pain. But drowning is another matter. Calling waterboarding torture is independent of the more complex question of whether torture is ever justified. 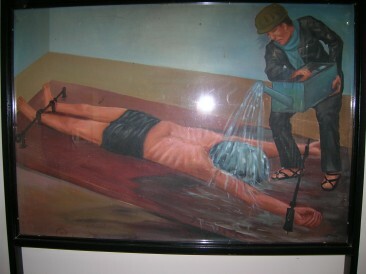 To engage in that debate let’s just start with the truth: waterboarding is torture. I believe YouTube videos of the practice would filter out a lot of noise. Why have we not seen any?